Multi-talented New Zealand motocrosser Darryl Hurley took his Suzuki RM-Z450 to victory in the Over-40 Pro class at the 2018 edition of the World Veterans’ Motocross Championships at the Glen Helen track at San Bernardino. Hurley (42), who retired from full-time motocross racing several years ago and now runs a Suzuki bike shop in Hawera, finished runner-up and then first in his two races in this premier class, eclipsing British former Grand Prix racer Kurt Nicoll, who finished 3-2, and American Dirt Rider Magazine test rider Kris Keefer (1-4). This was multi-time New Zealand motocross champion Hurley’s second Over-40 World Vet Championship title after he also won it in 2016. Over a long and glittering career, Hurley has been a regular visitor to the top step of the podium. Hurley won four New Zealand 125cc motocross titles (in 1999, 2001, 2002 and 2004) before moving on to win the New Zealand MX1 title in 2007, following by his winning the New Zealand MX2 crown in 2008. He also won the New Zealand Motocross Grand Prix title at Woodville in 2005 and again in 2009. Hurley won the opening round of the World Supercross Championships at a muddy Estadio Olimpico in Seville, Spain, in December 2003. 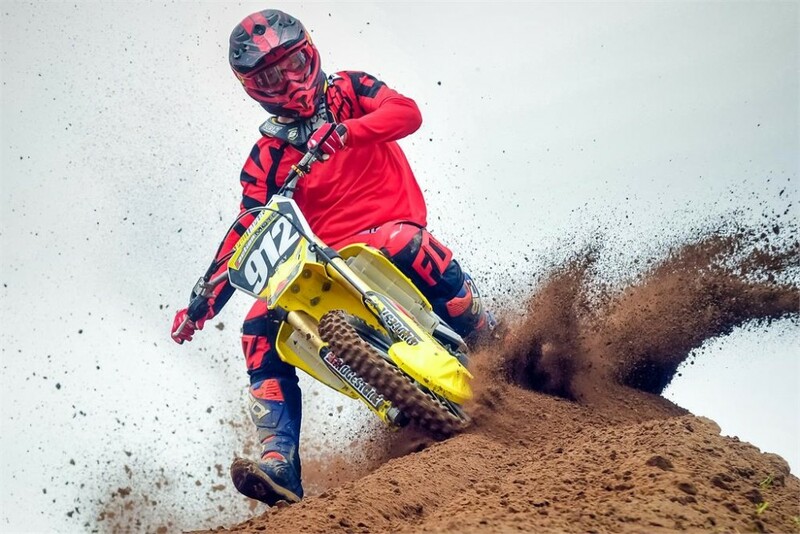 He beat South African Grant Langston (who was later crowned 2007 AMA Motocross Champion) to the checkered flag at that event in Spain, as well as leading Americans Tyler Evans and Heath Voss. Hurley had earlier become Australian 125cc motocross champion, winning the national title there in 2001. He also won the Australian open class title in 2005, but failed to defend it when he became injured in 2006 and injury again slowed him in 2007, although he still managed to finish runner-up (behind Daniel Reardon). He was injured and on crutches when he was called to the stage to receive the Taranaki Sportsperson Of the Year award in November 2005 and he was named Taranaki Sportsman of the Year in December 2009. Three times he was selected to join New Zealand’s three-man Motocross of Nations world teams championship squad, but he also had to give up his spot because of injury on a couple of occasions, the most notable being in France in 2005, which allowed Cody Cooper to debut for the Kiwi team. He was also injured soon after being selected for the 60th running in England in 2006, again allowing the position to open up to Cooper. Hurley was the 125cc rider in the New Zealand MXoN team which finished third at Namur, Belgium, in 2001, and was also one of the Kiwi team that finished seventh at the MXoN in Lierop, in the Netherlands, in 2004. He won the 40-44 years’ class at the New Zealand Veterans’ and Women’s Motocross Championships at Eltham in November last year. This year was the 34th annual running of the Dubya USA World Veterans’ Motocross Championships in California.